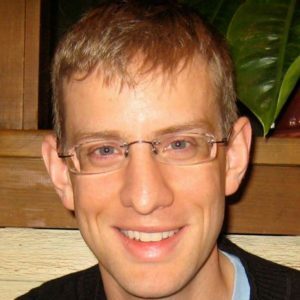 Aaron Mulder is responsible for the design and deployment of technical development standards, policies and style guidelines. He maintains structured workflow between project leaders and developers, and mentors lead developers and architects. In addition, Mr. Mulder supports marketing and sales efforts through public and private speaking engagements. Mr. Mulder has been working with Java technology since its inception. He has worked on applets, applications, and Web applications using Java, J2EE, and Ruby on Rails. Mr. Mulder has led the architecture of numerous large projects. His responsibilities have spanned all facets of the development process, including defining and documenting requirements, design and architecture, development, testing, performance tuning, security analysis, and deployment. He has established and maintained development and demo environments, custom tools, developer documentation, and training materials. He has also trained and mentored new developers in traditional and lightweight Java/J2EE, Rails, and SOA, covering design, development, tools, and best practices. Mr. Mulder is a published author on topics such as WebLogic Server and EJB. He has worked with Java Community Process spec committees including JSR-88, and repeatedly presented at numerous conferences including JavaOne, TheServerSide Java Symposium, ApacheCon, the Enterprise Open Source Conference, the Emerging Technologies for the Enterprise conference, and more. He has directly contributed to many open source projects, including Apache projects such as Geronimo, ActiveMQ, ServiceMix, OpenEJB, and XBean, as well as other projects including JBoss and PostgreSQL. Prior to joining Chariot Solutions, Mr. Mulder has worked for a number of technology firms, including Skylight Systems, Olliance Inc., EMAX Solution Partners, and Andersen Consulting (now Accenture), as well as completing several specific Java contracts. Mr. Mulder graduated from Princeton University with a B.S.E. degree in Aerospace Engineering, and a certificate in Physics.